The Country Program is responsible for preserving the significant cultural and natural resources on Martu country. It includes KJ’s community ranger program but complements this with specialised support in large-scale use of fire and the protection of threatened species. Martu expertise in traditional land management techniques is complemented by assistance from specialists from WA’s Parks and Wildlife Service and arid zone ecologists. Through these partnerships, the program has trialled and implemented new and innovative ways of blending Western science with traditional Martu knowledge. KJ runs ranger teams in Kunawarritji, Punmu, Parnngurr and Jigalong. More than 300 Martu are engaged in a wide range of on-country activities during the field season. To mainstream eyes, rangers provide environmental services for the benefit of all Australians. 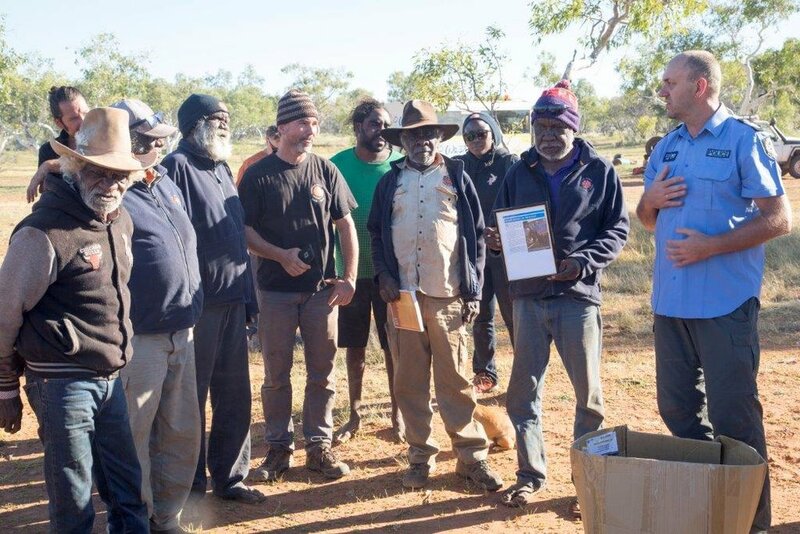 To Martu, rangers are involved in cultural learning, fulfilment of cultural obligations on behalf of the community and the deep connection with country that is fundamental to Martu life. Martu are keeping country healthy with the use of ‘right way’ waru. Rangers light small waru to protect communities, provide food for mankarr (Greater Bilby), look after mulyamiji (Great Desert Skink) as well as protecting cultural sites. The combined efforts of the ranger teams contribute strongly to the knowledge of and resilience of threatened species populations across the Martu Determination and Karlamilyi National Park.